Get your career off to a flying start tomorrow with WACC | The Bloxwich Telegraph – incorporating The Bloxidge Tallygraph and Walsall North News. Founded 2006. Walsall Adult & Community College (WACC) in Leamore is helping people to get their careers off to a flying start by hosting an open day tomorrow, Thursday 28 June 2012, from 4pm to 7pm. If you are facing redundancy, have recently been made redundant or are looking to return to work following a career break, then this event is for you. The college which provides learning opportunities to over 8,000 students each year is holding a Careers Launch open day from its Hawbush campus in Beeches Road, off the Bloxwich Road, WS3 1AG. It’s an opportunity for those who may be returning to the workplace after a break in their career and who are considering returning to learning to boost their future prospects. A creche will be available for parents to leave their children whilst they discuss their learning opportunities with college advisors. Shoppers and visitors to Walsall Town Centre are also invited to pop into the college’s WACC Shack in the Saddlers Shopping Centre from 10am to 4.30pm to check out the range of courses if they can’t attend the main event later in the day. From September 2012 and for the first time ever, learners will be able to take up the opportunity of studying English and Mathematics (Levels 1 and 2) for FREE. Joanne Keatley, director for curriculum and learning, said: “Whether you are returning to work following a career break or hoping to boost your skills, our Career Launch open day will be an excellent opportunity for everyone to see for themselves what it’s like to study at Walsall Adult & Community College. “Here at WACC, we’re extremely proud of our learners and put them at the heart of everything we do. For many learners, we have enabled them to have their very first experience of success in achieving qualifications, in retraining for employment or to develop their confidence to become job-ready. There will be plenty of opportunities to talk to our experts at our Career Launch Open Day,” she added. Help with childcare costs, for those who are eligible will also be considered as learners embark on their studies at the college. The college’s Hawbush campus is just a 5 minute bus journey from Walsall Town Centre and can be found next door to the Forest Arts Centre. 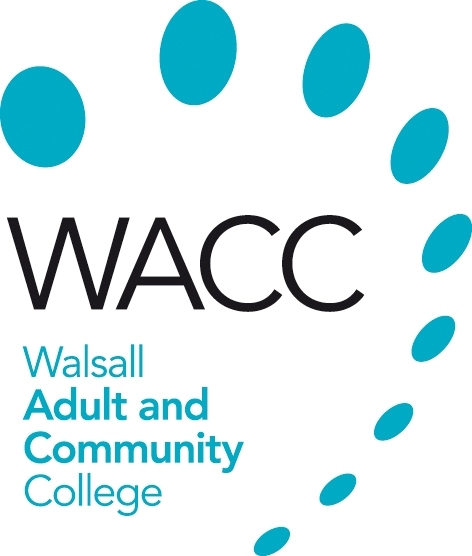 To find out more about the open day call 01922 663000, visit www.wacc.ac.uk, find WACC on Facebook or on Twitter @Walsall_WACC.